If you’re looking for truly contemporary design for your bathroom, look no further – the Clara range features a slim-line basin in a choice of 3 widths to suit any size bathroom. This versatile range is ideal for larger bathrooms to give a luxurious feel or can create the illusion of more space in a smaller room. 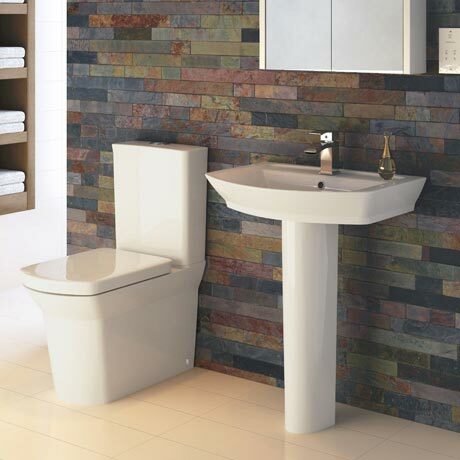 The Close-Coupled Pan & Cistern includes a soft-close Seat and features a fully equipped factory-fitted cistern fittings with water saving dual flush mechanism. The basin has a contemporary shallow design without compromising on washing space. Full pedestal for a classic look.